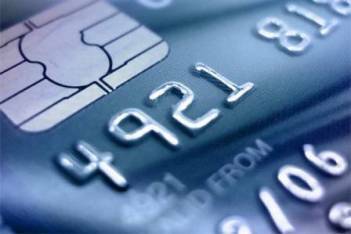 Home › Credit Cards › Credit cards: When and how Should you use it? How will I be able to pay this back? Will this be just an added debt to my account? Most people think that credit cards are created just for the joy and luxury of having it. Although credit cards offer a lot of advantages and benefits, we should always be mindful of the effect that any transaction or decision may bring us. You should also consult Your Personal Financial Mentor when you plan to keep a credit card because he will help you manage your credit card expenses without exposing yourself to the risk of financial loss. One common disadvantage of having credit cards is the monthly interest charges whereas you are considered to be paying more than what a product or service is really worth. Not to mention the additional fees that you will need to pay for late payments or if you are not able to pay the required amount in full. Using credit cards can be habit-forming that eventually can turn into something you cannot resist. You will just wake up one day, staring blankly at bills that state huge amounts, asking to be settled as soon as possible. Sadly, this has been a common scenario for people who tend to abuse their credit cards. So, how will you know when and how to use your credit cards wisely? The first thing that you should learn is self-control. To do this, you need to learn and realize that there is a good debt and a bad debt. Of course, a good debt is when you use your credit cards for something that can be of great help or advantage to you. For example, a laptop or a desktop computer that you can use for your office or school needs. An example of a bad debt, on the other side is purchasing a new phone using your credit cards even when your current phone is still working well. This usually happens when a new model or brand comes out. You are often tempted to have that new release and without even thinking, you go to the store and swipe with all your heart’s content. And there you go! You will be facing another debt due to credit cards. When should you use your credit cards, then? Obviously, you need to control yourself and carefully determine if what you are going to buy or purchase using your card is a necessity. You can also check and see if your cash can cover for it, just so you can minimize using your card. In cases of emergency, it is always best to set up for an emergency fund that you can use whenever you ran out of cash. It is rather better to use your credit cards instead of taking a cash advance. Do you know that the interest rate on a cash advance is way higher than getting a loan from the bank or any credit union? Now you have at least an idea on how to use your credit cards wisely. The bottom line is, it will always depend on your self control. If you know how to resist temptations and is sure of every purchase that you do then there is absolutely nothing wrong about carrying those plastic cards and use them for your convenience. November 7, 2013 Credit cards: When and how Should you use it?